Believe it or not but the NY State senate spent the better part of an hour last week deliberating the crucial issue of whether yogurt should be officially designated as the “state snack” , but not before there was a heated debate over what exactly constitutes the definition of the word “snack” . ” Sen. Chris Murphy wants NASCAR to pass on NRA’s race sponsorship. In a letter sent Thursday to NASCAR CEO Brian France, Murphy, a Connecticut Democrat, asks the stock car racing association to drop the NRA’s sponsorship of an April race at the Texas Motor Speedway in Fort Worth. 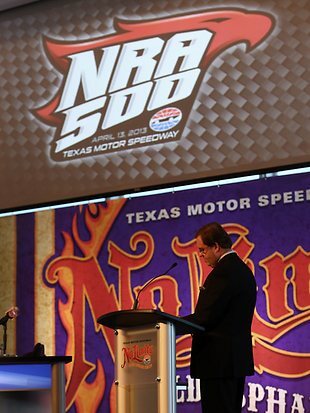 The race, in NASCAR’s top flight, will be the NRA 500. Republican politicians are missing from the debate. The debate is an influence battle between President Barack Obama’s Democrats and Wayne LaPierre’s NRA. Of the top 25 stakeholders in the debate, there is only 1 prominent Republican politician (Chris Christie – who is pro-gun control). Barack Obama leads the pro-gun control voice with a net influence score of 268. LaPierre leads the anti-gun control side with a net influence score of 240. ” Despite a claim by President Barack Obama that “attitudes about Americans have changed” as a result of his foreign policy in Libya and Egypt, polls show support of the United States among Arabs has declined since former President George W. Bush’s tenure. Positive views of the U.S. in several Muslim nations slipped from 22 percent in 2008 to 19 percent in 2012, according to a Pew Research Center report announced in June 2012. Support in both Pakistan and Jordan fell from 19 percent to 12 percent, while U.S. popularity in Turkey rose, from 12 percent to 15 percent. Changed Alright … For The Worse. ” Obama was very aggressive throughout the debate–perhaps still trying to compensate for his lackluster first debate–using every single question to attack his opponent’s record and policies. That approach may have backfired, as it allowed Romney to strike a calmer, more stable posture. Romney’s apparent strategy was to give up scoring points on particular issues in favor of appealing to war-weary, politics-weary moderate voters. ” I suspect, although we will know for sure tomorrow night, that President Obama will claim organizational incompetence in connection with acknowledging that the Libya jihadist operation was, well, a planned jihadist operation. ” Nearly 2,000 pro-lifers called local Planned Parenthood clinics Oct. 18 to schedule mammograms, after President Obama implied the organization offers the service. “When Gov. Romney says that we should eliminate funding for Planned Parenthood, there are millions of women all across the country who rely on Planned Parenthood for not just contraceptive care, they rely on it for mammograms,” said Obama Oct. 16 during the second presidential debate. Planned Parenthood does not actually provide women with mammograms, but refers patients out to other facilities for the exam. 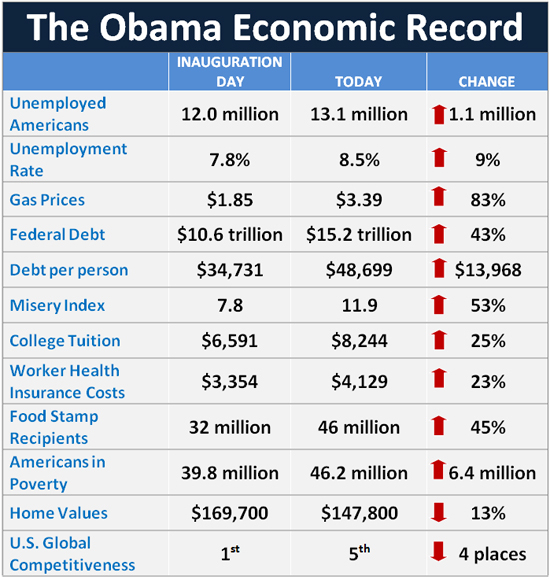 ” Then there were two moments that (inadvertently) told us a lot Obama’s economic vision. The first occurred when a college student named Jeremy asked for reassurances about his job prospects after graduating. Obama answered: “Number one, I want to build manufacturing jobs in this country again.” Jeremy was probably somewhat stunned to find out that his $100,000 in student loans could only land him a job working the line at a factory making government subsidized electric cars. Hey, in these unselfish, planned economies, Jeremy, you take what you’re given. And when the candidates were asked by one of those committed undecideds to dispel any myths about themselves, Obama used it to lay out one of the least convincing arguments of the night. “I believe,” he explained, “that the free enterprise system is the greatest engine of prosperity the world’s ever known. Battle Won ? War Lost ? ” Although those asked in this CNN poll said Obama “won the debate” 46-39, look at the responses on who voters find would be better to handle the economy, healthcare, tax policy, and the deficit. “During the debate tonight President Obama took issue with Mitt Romney’s assertion that the administration misled the public on what happened in Benghazi and why it happened. His actual quote is vague in the extreme . “Our country is only as strong as the character of our people and the service of those both civilian and military who represent us around the globe. Weasel-words as usual . And Romney was right to call him on it .